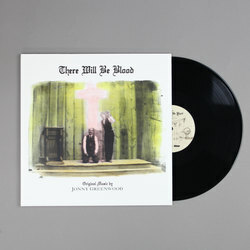 Jonny Greenwood - There Will Be Blood (Music from the Motion Picture). Vinyl LP. Bleep. 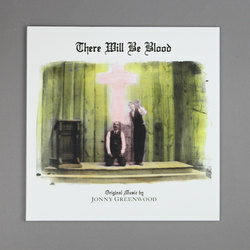 Jonny Greenwood’s celebrated score for Paul Thomas-Anderson’s There Will Be Blood gets its first vinyl pressing courtesy of Nonesuch Records. 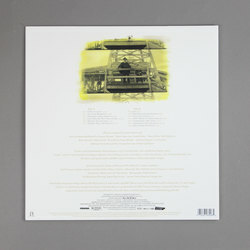 Greenwood had already done one film score prior to his work on There Will Be Blood - a set of avant chamber pieces for the 2003 documentary Bodysong - but it was this 2007 work which really put the Radiohead guitarist on the map as a composer in his own right. 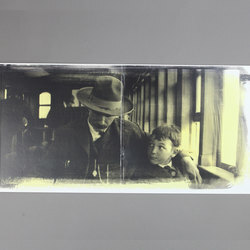 The influences draw from many different eras - the minimalism of Glass, the serialism of Schoenberg and the microtonal brilliance of Ligeti are but three of the prevailing styles here - and Greenwood manages to bring them together into a series of orchestral vignettes that perfectly mimic the intensity of the on-screen action. This is undoubtedly one of the most important works of 21st Century film scoring.